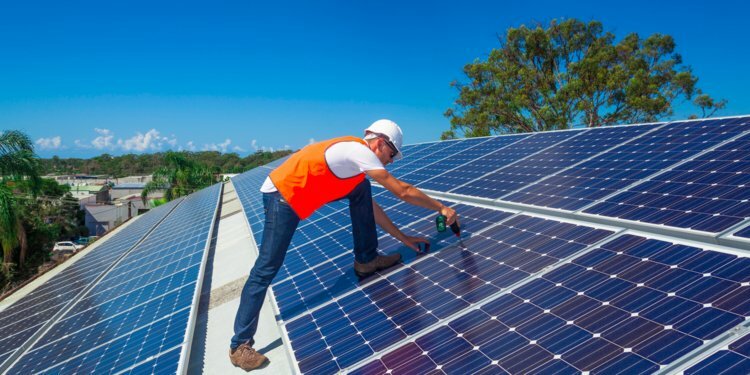 Solar energy is quickly growing, and more and more people are becoming aware of the incredible benefits that come with switching to solar energy. Here are some reasons solar power is superior to other energy options and why you should consider switching to solar. Switching to solar can help you save well over $100 monthly in several states across America. Most solar panels last about 20-25 years, so the money you are saving adds up. If you save $100 a month for 25 years, you end up saving a total of $30,000 for doing nothing but enjoying your solar energy. Another way solar energy helps you save money is through your taxes. When you file your taxes, you will receive 30% of total systems cost for equipment and installation back to you as a federal income tax credit. With the installation of solar panels in your home, you start saving from day one. When you have your panels installed, there is little to no down payment. You can also choose to either buy your solar panels or lease them. Several people chose to use a “pay-as-you-go” program to finance their energy. With this, you will pay a third-party provider-the solar provider. They own the panels and take care of all the installation and maintenance. All you have to do is pay a monthly rate that is lower than what you would be paying a utility company or most energy providers. Switching to solar energy makes your home more attractive on the market. A lot of people want solar panels on their home, but it is even better if the house already has them installed when they move in. According to a study conducted by National Renewable Energy Laboratory, homes with solar panels sell 20% faster and for 17% more money. Utility company energy prices tend to be unpredictable and fluctuate regularly. Solar energy prices are fixed. With the use of panels and simple math, the energy provider can tell how much energy will be produced and at what cost, for at least the next 20 years. Solar panels typically come with a 20-25 year warranty or performance guarantee. The industry promises at least 80% efficiency after 25 years. The actual lifespan, however, for most solar panels is far beyond this. Most solar panels will still generate the right amount of energy for 30-40 years. As you are probably well aware, solar energy has a remarkable impact on the state of our environment. “The average residential solar system offsets about 100,000 lbs of carbon dioxide in 20 years – the equivalent of driving a car for 100,000 miles.” On top of this, solar energy is infinite and using it does not harm the environment. As long as the sun is in the sky, it will continue to provide us with a superior source of energy.